In this technical brief I demonstrate two methodological points broadly relevant to historical archaeologists. While light detection and ranging (LiDAR), also known as airborne laser scanning (ALS), has been widely used to identify prehistoric archaeological sites, its use in historical archaeology could be expanded. LiDAR data are particularly valuable because they are frequently open access. By coupling open LiDAR data with open source software one can quickly, easily, and inexpensively identify historical landscape modification. I present an illustrative example, the identification of charcoal hearths in Pennsylvania, along with tools and techniques used to carry out the research. This method has allowed us to identify 758 charcoal hearths within a 74 km2 research area along the Blue Mountain of northeastern Pennsylvania. En este documento técnico, demuestro dos puntos metodológicos ampliamente pertinentes para los arqueólogos históricos. Aunque la detección y medición por ondas luminosas (LIDAR, por sus siglas en inglés), que también se conoce como el escaneo láser aerotransportado (ALS), se ha utilizado ampliamente para identificar sitios arqueológicos prehistóricos, su uso en la arqueología histórica podría ampliarse. Los datos LiDAR son particularmente valiosos porque son frecuentemente de acceso abierto. Al combinar los datos LiDAR abiertos con software de fuente abierta se puede identificar de forma rápida, sencilla y económica las modificaciones de paisajes históricos. Presento aquí un ejemplo ilustrativo, la identificación de fogones de carbón en Pensilvania, junto con las herramientas y técnicas que se utilizaron para llevar a cabo la investigación. Este método nos ha permitido identificar 758 fogones de carbón dentro de un área de investigación de 74 km2 a lo largo de Blue Mountain en el noreste de Pensilvania. Dans ce mémoire technique, je présente deux points méthodologiques largement pertinents pour les archéologues historiques. 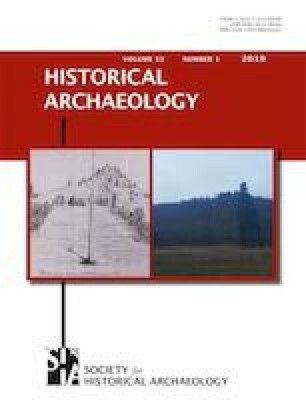 Tandis que la détection et télémétrie par ondes lumineuses (LiDAR), aussi appelée numérisation atmosphérique au laser (ALS) est intensément utilisée pour identifier les sites archéologiques historiques, son utilisation en archéologie historique pourrait prendre de l’envergure. Les données LiDAR sont particulièrement utiles, car leur accès est souvent ouvert. En couplant les données LiDAR ouvertes à un logiciel ouvert, on pourrait aisément, rapidement et à faible coût identifier les modifications paysagères historiques. Pour illustrer ce concept, je présente l’exemple de l’identification de creusets de charbon en Pennsylvanie, ainsi que les outils et techniques utilisés pour mener à bien la recherche. Cette méthode nous a permis d’identifier 758 creusets dans une aire de recherche de 74 km2 le long de la Blue Mountain, au nord-est de Pennsylvanie aux É.-U. The author wishes to thank the students at Muhlenberg College who worked on this project. In particular, Heather Lash painstakingly identified the charcoal hearths from the slope analysis. Tim Clarke of the Digital Learning Team at Muhlenberg has supported this work through his deep understanding of the structures and meanings of digital data. I would like to thank the organizers (Ethan Watrall and Lynne Goldstein of Michigan State University), staff, and participants in the Institute on Digital Archaeology Method and Practice (funded by the National Endowment for the Humanities) for creating a dynamic community of archaeologists interested in opening archaeology. Additionally, my work with LASTools was made possible by participation in the National Science Foundation NEON Workshop: Topographic, Geomorphic, and Vegetation Analysis with LiDAR instructed by Chris Crosby (UNAVCO), Ramon Arrowsmith (Arizona State University), Tristan Goulden (NEON), Shelley Petroy (NEON), and Nancy Glenn (Boise State). I would also like to thank the Provost’s Office, the Dean of Digital Learning, and the Sociology and Anthropology Department for support of this project. The author thanks the anonymous peer reviewers who spent their valuable time providing insightful and valuable feedback. American Society for Photogrammetry and Remote Sensing 2013 LAS Specification Version 1.4 – R13 <https://www.asprs.org/wp-content/uploads/2010/12/LAS_1_4_r13.pdf>. Accessed 2 January 2019. Carter, Benjamin P. 2018a Blue Mountain Charcoal Project Research Area (Version 0.1.0) [Dataset]. Zenodo < https://doi.org/10.5281/zenodo.1252418>. Accessed 2 February 2019. Carter, Benjamin P. 2018b Digital Elevation Model for Blue Mountain Charcoal Research Project (Version 0.1.0) [Dataset]. Zenodo < https://doi.org/10.5281/zenodo.1252441>. Accessed 2 February 2019. Carter, Benjamin P. 2018c Hillshade Analysis of “Digital Elevation Model for Blue Mountain Charcoal Research Project” (Version 0.1.0) [Dataset]. Zenodo < https://doi.org/10.5281/zenodo.1252520>. Accessed 2 February 2019. Carter, Benjamin P. 2018d Identified Charcoal Hearths from “Slope Analysis of ‘Digital Elevation Model for Blue Mountain Charcoal Research Project’” (Version 0.1.0) [Dataset]. Zenodo < https://doi.org/10.5281/zenodo.1252985>. Accessed 2 February 2019. Carter, Benjamin P. 2018e Slope Analysis of “Digital Elevation Model for Blue Mountain Charcoal Research Project” (Version 0.1.0) [Dataset]. Zenodo < https://doi.org/10.5281/zenodo.1252977>. Accessed 2 February 2019. Carter, Benjamin P. 2018f Charcoal Hearths along the Blue Mountain of Pennsylvania: Identification of Historic Charcoal Hearths in the Landscape of the Blue Mountain via Analysis of LiDAR. Open Context < https://doi.org/10.6078/M7DV1GZF>. Accessed 2 February 2019. Huggett, Jeremy 2015 Digital Haystacks: Open Data and the Transformation of Archaeological Knowledge. In Open Source Archaeology: Ethics and Practice, Andrew T. Wilson and Ben Edwards, editors, pp. 6–29. De Gruyter Open, Warsaw, Poland <https://www.degruyter.com/view/product/460080>. Accessed 2 February 2019. Kansa, Eric C., Sarah Whitcher Kansa, and Ethan Watrall (editors) 2011 Archaeology 2.0: New Approaches to Communication and Collaboration. UCLA Cotsen Institute of Archaeology, Los Angeles <https://escholarship.org/uc/item/1r6137tb#main>. Accessed 16 February 2019. Kemper, Jackson 1941 American Charcoal Making in the Era of the Cold-Blast Furnace. History 14. U.S. Department of the Interior; National Park Service, Washington, DC. <https://www.nps.gov/parkhistory/online_books/popular/14/index.htm>. Accessed 2 February 2019. Orengo, Hector 2015 Open Source GIS and Geospatial Software in Archaeology: Towards Their Integration into Everyday Archaeological Practice. In Open Source Archaeology: Ethics and Practice, Andrew T. Wilson and Ben Edwards, editors, pp. 64–82. De Gruyter Open, Warsaw, Poland <https://www.degruyter.com/view/product/460080>. Accessed 2 February 2019. Pennsylvania Department of Conservation and Natural Resources 2018a PAMAP. Pennsylvania Department of Conservation and Natural Resources <http://www.dcnr.pa.gov/Geology/PAMAP/Pages/default.aspx>. Accessed 2 February 2019. Pennsylvania Department of Conservation and Natural Resources 2018b PAMAP Lidar Elevation Data. Pennsylvania Department of Conservation and Natural Resources <http://www.docs.dcnr.pa.gov/topogeo/pamap/lidar/index.htm>. Accessed 2 February 2019. Register of Professional Archaeologists 2018 Code of Conduct. RPA Headquarters, Baltimore, MD <https://cdn.ymaws.com/rpanet.site-ym.com/resource/resmgr/Register_Code_of_Conduct_10_.pdf>. Accessed 2 February 2019. Smith, Matthew Longshore, and Ruhiya Seward 2017 Openness as Social Praxis. First Monday 22(4) <https://firstmonday.org/ojs/index.php/fm/article/view/7073>. Accessed 2 February 2019. Society for American Archaeology 1996 Principles of Archaeological Ethics. Society for American Archaeology, Ethics in Professional Archaeology <https://www.saa.org/career-practice/ethics-in-professional-archaeology>. Accessed 2 February 2019. Society for Historical Archaeology 2015 SHA Ethics Principles. Society for Historical Archaeology <https://sha.org/about-us/ethics-statement/>. Accessed 2 February 2019. Wilson, Andrew T., and Ben Edwards (editors) 2015 Open Source Archaeology: Ethics and Practice. De Gruyter Open, Warsaw, Poland <https://www.degruyter.com/view/product/460080>. Accessed 2 February 2019. 1.Department of Sociology and AnthropologyMuhlenberg CollegeAllentownU.S.A.